In creating the Stacy Adams Kason Cap Toe Double Monk Boot we started with an ankle-high boot made of high sheen buffalo leather. 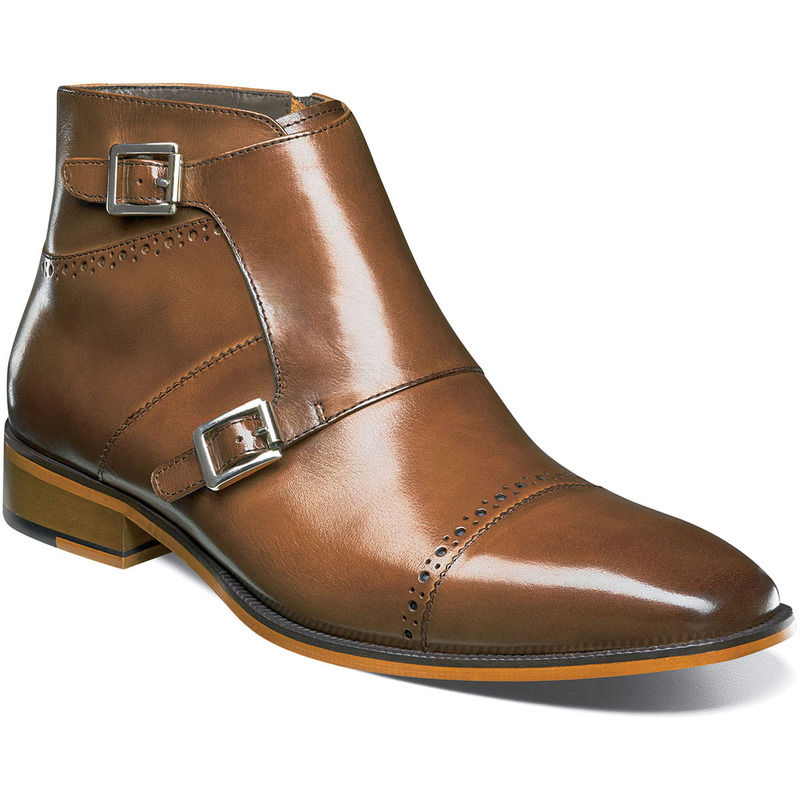 Then we added a double monk strap with antique silver buckles, a side zipper, cap toe, and intricate perfing details along the toe and collar. It’s the perfect recipe for a real attention grabber.